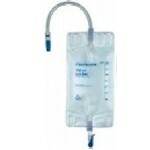 The bag features a flexible 12" long tube with a conical shaped smooth surfaced connector to connect to either catheters or sheaths; an easy to operate lever tap for rapid drainage; available in 350ml or 500ml sizes. 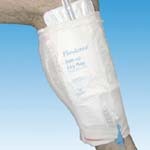 Package of 10. 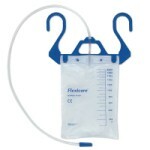 The Flexicare 2 liter overnight urine bag is designed to be used with the Flexihang bag hanger.